The best balance of moisturizing ingredients hyaluronic acid, squalene, ceramide, collagen, and elastin! 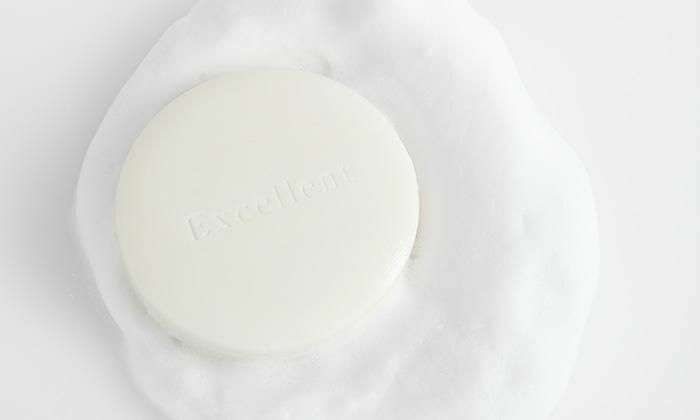 Also including cherry blossom extract and chamomile extract, it's luxuriantly moist! 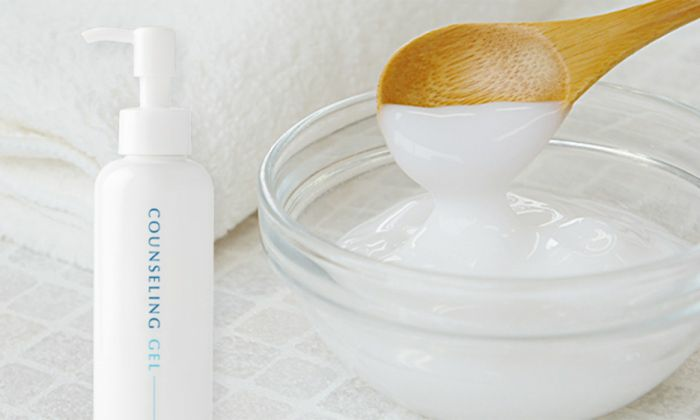 The combination of seven types of moisturizing ingredients will keep skin soft day after day. A lack of moisture in the skin is the root of wrinkles and acne trouble! If skin lacks moisture the skin's natural barrier may become less effective, and this can lead to rough skin. If the drying out continues this can cause strain on the hard layer of your skin, and lead to fine wrinkles. 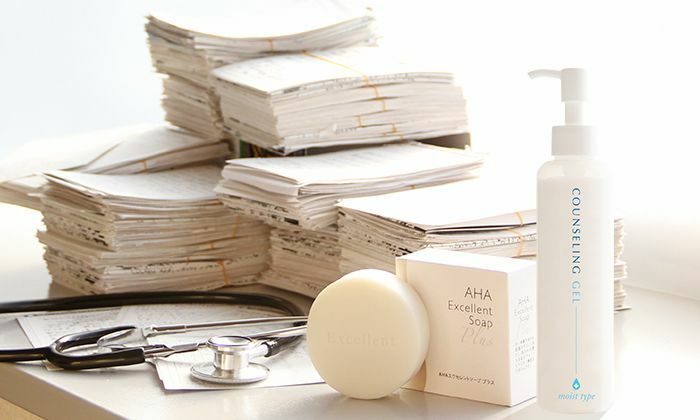 Let's treat our skin properly with AHA Excellent Soap Plus and Counseling Gel Moist Type! We aim to give each individual customer meticulous attention when delivering their products. 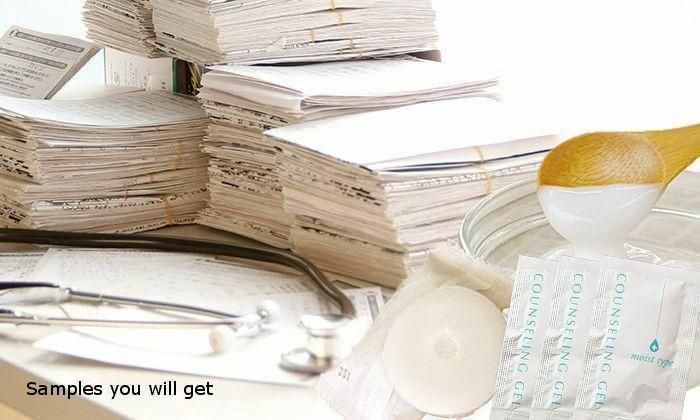 From these carefully-curated genuine doctor’s items, please choose the most suitable products for you. 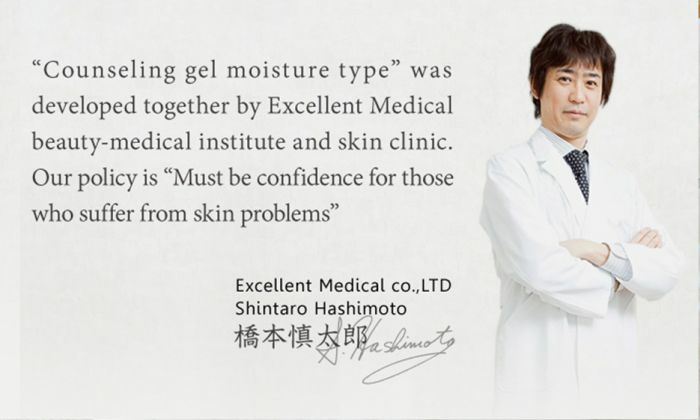 At Excellent Medical, the products we handle are doctor’s cosmetics and supplements, developed in cooperation with medical specialists and medical institutions. With higher ratios of active ingredients compared to other items on the market, it is important for us that a customer chooses the precise product that suits the nature of their skin and their health condition. 상품이 아주 좋네요. 다음에도 기회가 된다면 구매할 의사가 충분히 있습니다. 가격이 조금 부담되는 부분이 있지만 피부가 많이 민감하다면 이금액으로 사용을 해보셔도 좋을것 같아요..
1. Về chất lượng: Mình thực sự thích chất lượng của sản phẩm này. Dùng xong cảm giác sạch mà không hề thấy khô da, chất kem đặc nên dùng rất tiết kiệm . 2. Về packing: là dạng hũ nên quá khó lấy, lại dễ hỏng.